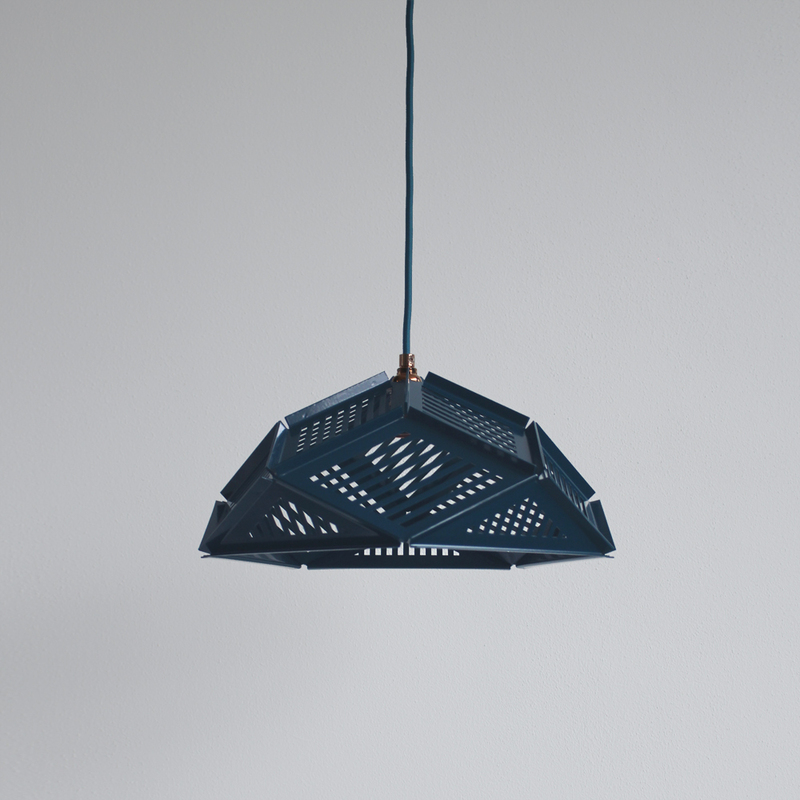 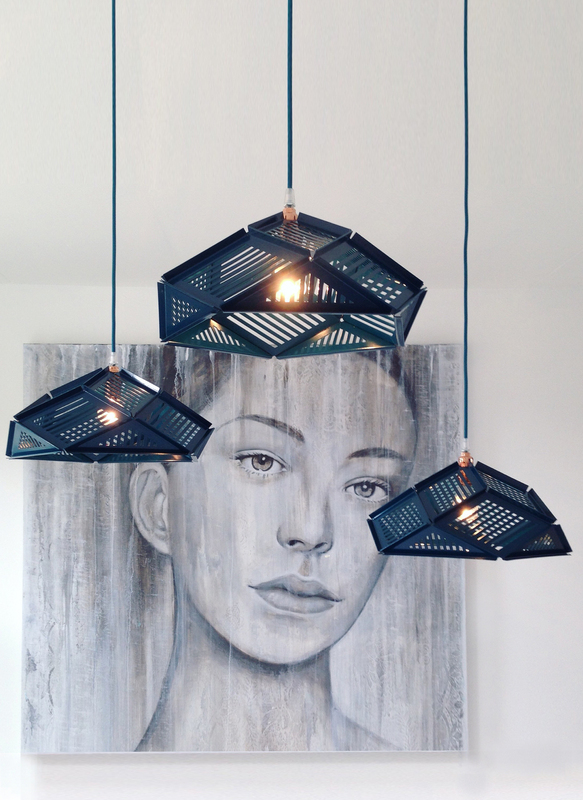 The Solid Air is a small pendant lampshade made out of steel plate elements that are joined by point welding and have a decorative, geometric pattern cut out in the elements. 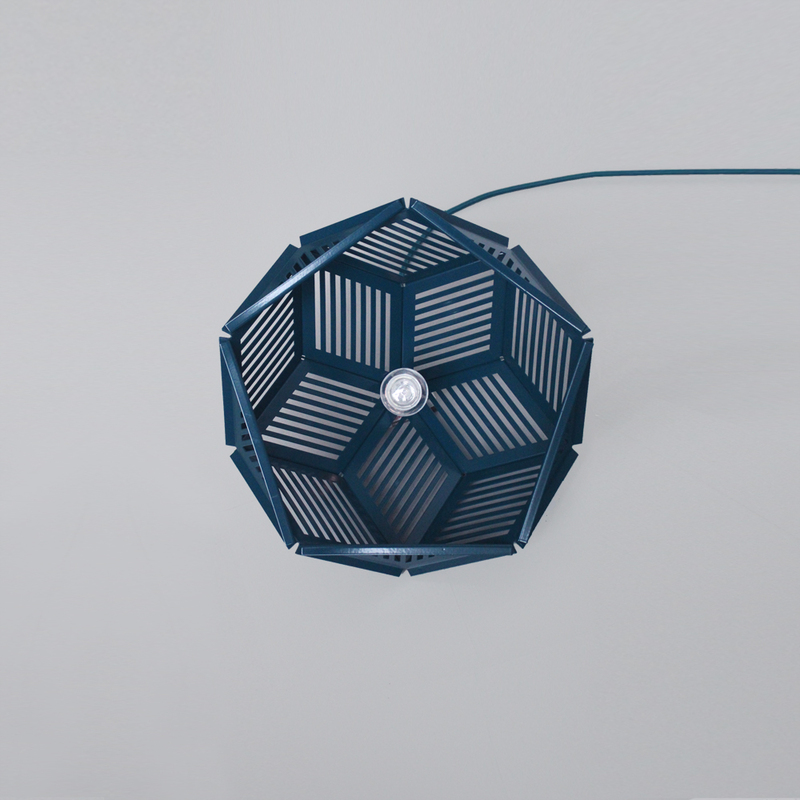 The lamp shade is finished with a glossy powder coating in the color pretty petrol. 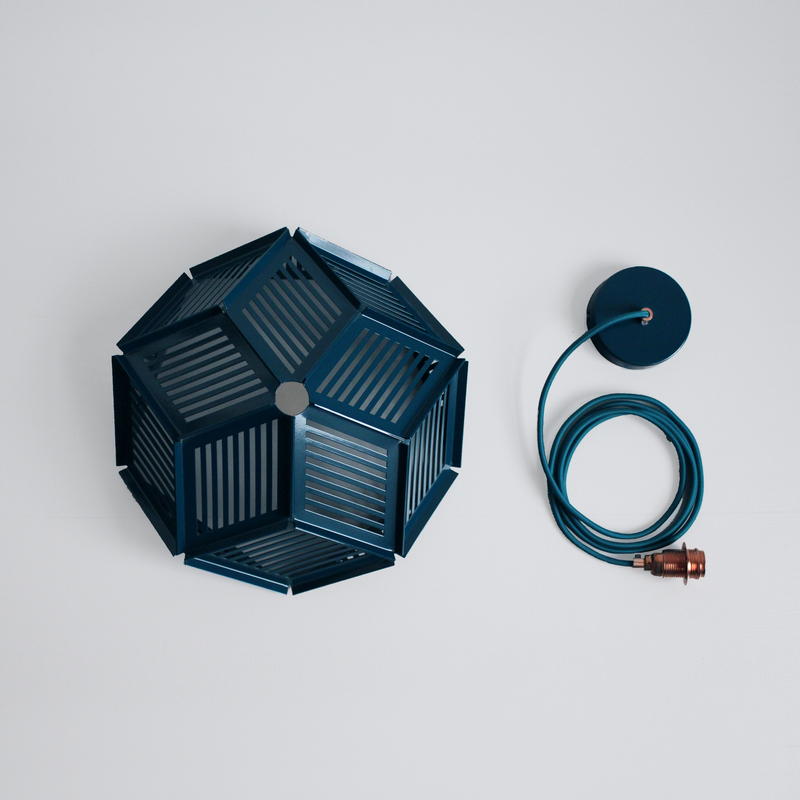 On request the Solid Air can be made in any RAL color of your wish.